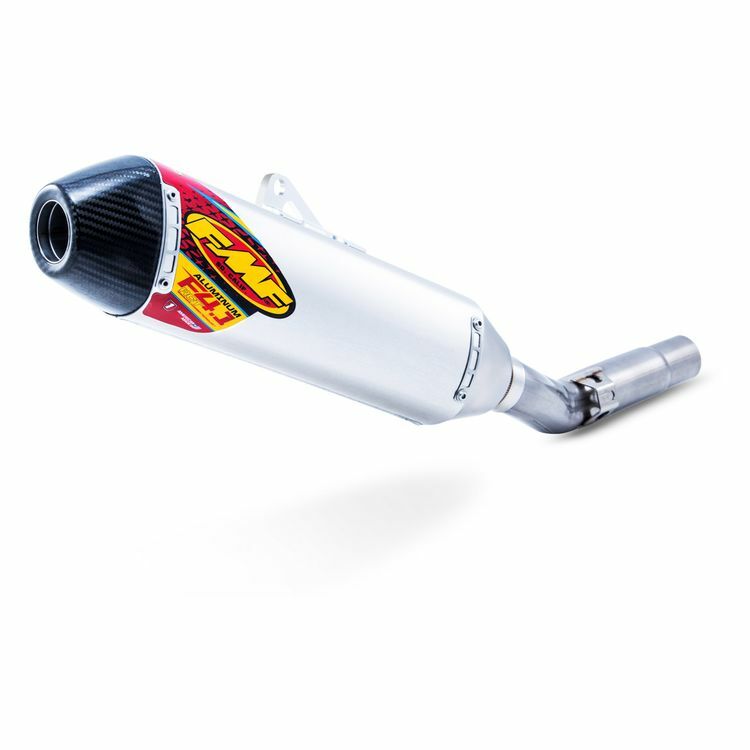 The FMF Factory 4.1 RCT Slip-On muffler incorporates the latest in FMF Resonance Chamber Technology both internally and externally. In addition, FMF has achieved a shorter overall length that is less susceptible to crash damage and complementary to their Factory Forward Engineering which moves the muffler closer to the motor to centralize mass. The Factory 4.1 RCT is constructed from aerospace grade materials that meet FMF’s exacting specifications and is manufactured 100% in their Southern California factory.